Merriam Webster Dictionary defines tolerance as “the ability or willingness to tolerate something, in particular, the existence of opinions or behavior that one does not necessarily agree with.” In today’s divisive world, teaching and demonstrating tolerance is a worthy goal for both educators and students. 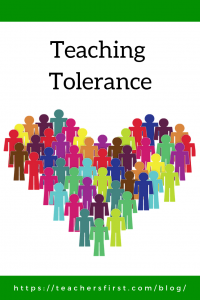 For this character trait to become ingrained, it takes more than discussion and modeling, it is important to explicitly teach tolerance through well-chosen lessons beginning with our youngest students. Several sites offer lessons in tolerance, here are three that offer excellent starting points for learning tolerance in any classroom. Who, Me? Biased? (TeachersFirst review) – This video series from the New York Times aimed at students in grades 5-12 explores types of bias, prejudice, and racism. All videos run less than three minutes in length making them a perfect starting point for lessons about tolerance. Include these videos with other resources using a digital graphic organizer like Owl (TeachersFirst review). Use Mr. Owl to build branches to organize, collaborate, and share online information. Ask students to create and share branches including videos, photographs, and websites to research different methods of tolerance. Ask older students to create podcasts for their peers or younger students sharing examples of tolerance and ideas for dealing with others’ differences. Anchor (TeachersFirst review) is an excellent tool for creating and sharing podcasts from any device. Discover the devastating effect of intolerance through a virtual field trip to the Ghetto Fighters House, the first Holocaust museum in the world. Learn about the museum, Jewish resistance, and the importance of tolerance today through this guided tour. No Name-Calling Week (TeachersFirst review) – this week (January 21-25) is No Name-Calling Week. This site provides many lesson plans for all grade levels. One of my favorite lessons is Think Before You Act. Although it is in the elementary section, you can easily modify activities for any age of students. In this lesson, the class works together to create a Code of Ethics and is encouraged to think about reasons for bullying and appropriate responses. Have students create posters to hang in the classroom or school sharing ideas for how to respond to bullying or inappropriate acts by others. Using cartoons in the classroom is an excellent way for students to share ideas without it becoming personal. Ask them to create cartoons sharing ideas on how to demonstrate tolerance in different situations. This blog post from 2017 includes many excellent suggestions for comic creation tools and approaches for classroom use. Students also love creating books. Have them use Book Creator (TeachersFirst review) or WriteReader (TeachersFirst review) to share digital stories on how to demonstrate tolerance for others. Both of these tools allow users to add images and text. Book Creator is more robust than WriteReader; however, WriteReader makes it easy for even the youngest author to share their work in a digital format. This list found on Tolerance.org (TeachersFirst review) has many ideas for all grade levels. Use the filters to narrow down options by grade level, topic, and type of text. Curriconnects Book List for Tough Situations includes books for preschool through adult readers. These books all help students cope with a variety of situations including dealing with disabilities, changes in family relationships, and responses to bullying. As we cultivate a spirit of tolerance and acceptance of others through purposeful lessons, we offer our students the opportunity to reflect upon their actions and learn how to deal with others; developing tolerance of others helps build a positive classroom community by creating an atmosphere of respect for all points of view. Taking time to develop coping skills and learn about tolerance is a gift we give to our students and ourselves. 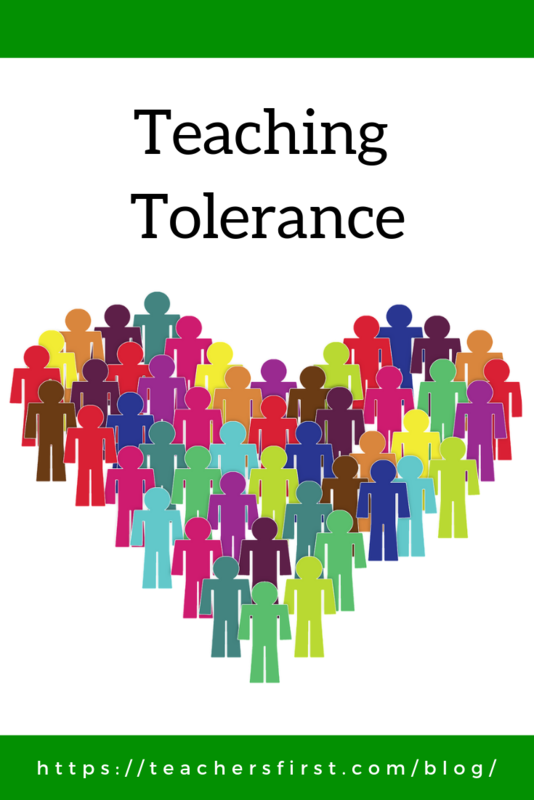 Do you have a favorite activity for teaching tolerance? Use the comments below to share your ideas. In the science curriculum tolerance is a very important component for the students to understand. When discussing the topic of evolution there are a lot of different backgrounds your students come from in terms of their religions and ethnicity. Southern baptists, for example believe that the Earth is 2,000 years old and that evolution is not real. Other religions might not be as set in beliefs but could be similar and when it comes to teaching evolution and the Earth being over 4 billion years old it is going to run in to some tension. I have found out the hard way when covering topics like evolution or climate change, even though it is not questioned in the science community, especially initially when teaching the content it is important to have tolerance built in to the classroom dynamic so students can learn rather than get defensive and aggressive with one another. Thanks for sharing this, it is such a great point. Tolerance goes well beyond character and needs to be used within curriculum also. Great point!